I hate the label Selective Mutism – as if I choose not to speak, like a kid who refuses to eat broccoli. I’ve used up every dandelion wish since I was ten wishing for the power to speak whenever I want to. I’m starting to wonder if there are enough dandelions. Piper Rhodes doesn’t talk to strangers. But far from this being a sign of following parental rules, her silence seems inexplicable. She can talk at home, and to people she knows well, but at school and in the community, words fail her. This causes lots of problems, but as she starts at a new school for her final year of schooling, Piper is never more aware of just how problematic it can be. Teachers think she’s being rude, and making friends is difficult. Then there’s West: the school captain, soccer-star, boy who has it all. He seems intent of getting to know her, even if it means writing notes. Selective Mutism is a difficult condition to live with and for other people to comprehend. Even the name is problematic, as Piper complains, implying a ‘selection’ or choice being made. 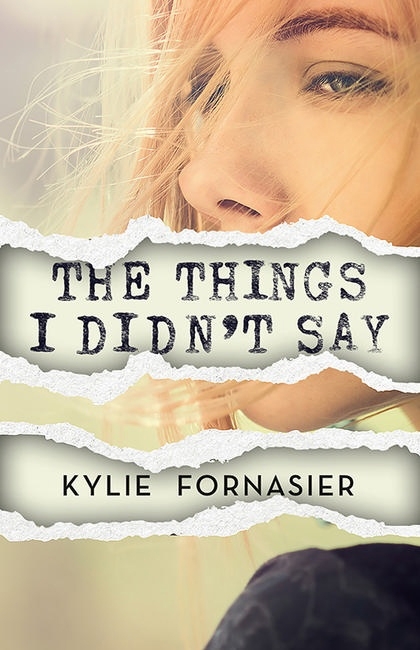 The Things I Didn’t Say is a wonderful exploration of the challenges it holds for one teen character, at the same time as being just a great read about friendship, peer pressure, and parental expectation. Piper has changed schools by choice after losing her best friend following a drunken party, and at the new school finds both new friends and new enemies. West, who appears to have it all, also has struggles, particularly with meeting the expectations his parents have of him. Their seemingly unlikely relationship blossoms through notes and text messages, but is threatened by people around them. An excellent young adult read.